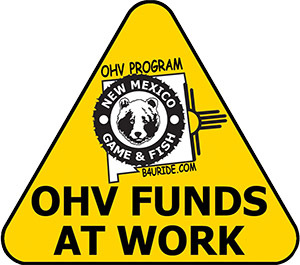 The New Mexico Department of Game and Fish Off-Highway Vehicle Program would like to invite all interested and qualified parties to apply for 2019-2020 Off-Highway Vehicle and Law Enforcement Grants. Links to the downloadable OHV grant and Law Enforcement grant applications can be found below. Each is a fillable PDF form for your convenience. 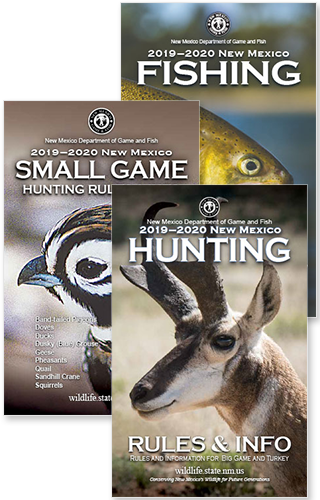 Applications can be delivered by hand to the NM Game and Fish Albuquerque office no later than Friday March 29, 2019 at 5:00 pm. Mailed applications must be postmarked no later than Sunday March 31, 2019. No applications will be accepted by email or fax. The maximum awarded amount is $15,000 and can be utilized from July 1, 2019 with final invoices due no later than June 15, 2020.